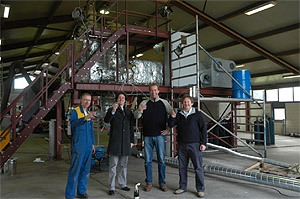 The system shown was installed and commissioned by Polow Energy Systems in Holland in 2008 to provide bulk samples of torrefied product. Our torrefied product is hydrophobic and is readily milled prior to being fed to PF burners. 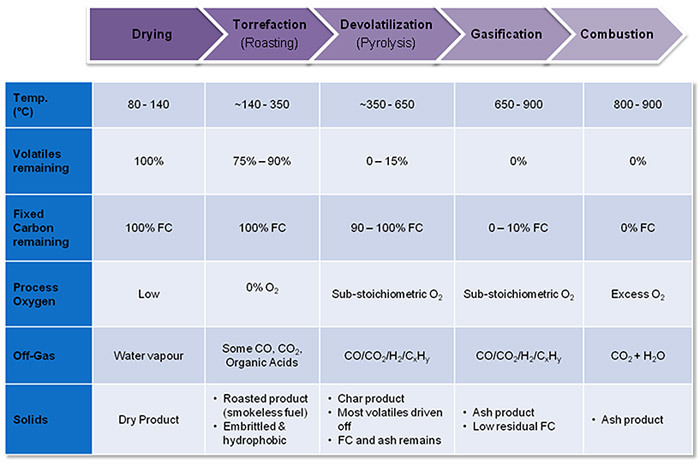 The CV of our torrefied wood is ~18MJ/kg. 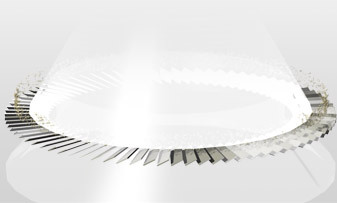 The first 60,000 t/y plant is currently in manufacture for commissioning in early 2010. 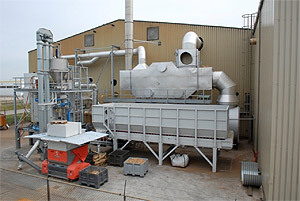 The unit shown here can pyrolyse or gasify ~800 kg/h of mixed wood waste to produce 3.5MWth heat for an indirectly fired drier. The recirculation of the process gas stream allows high turndown ratios (up to 50:1) without any problems (unlike fixed bed gasifiers). Tar condensation was the primary issue that was overcome. The system shown here combusts some 6 t/h of paper sludge containing 50-55% water. 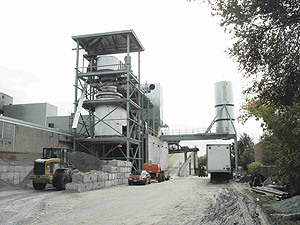 This sludge is generated at a paper recycling mill in Ontario, Canada. This US$5m demonstration unit has been installed and operating since 2007. The ‘simple’ payback with these plants is less than 18 months in avoided disposal costs, recovered energy and mineral sales. The major issue faced in the development was that of feed consistency.